Each month, we bring you recipes with a different theme and this month we're focusing on chicken. 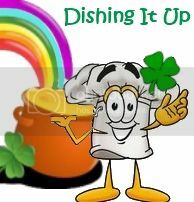 BUT...this week we are adding in a special theme in honor of St. Patrick's Day: green or Irish food. We are so excited to be able to feature chicken from Zaycon Foods. One lucky winner will receive a Zaycon Foods account credit to be used on 40 pounds of chicken breasts. Mama Does It All had the chance to try the chicken from Zaycon Food and loved it. You can read what she had to say about it in her review here. Make sure you read on the Zaycon site to find the closest drop off point to you.